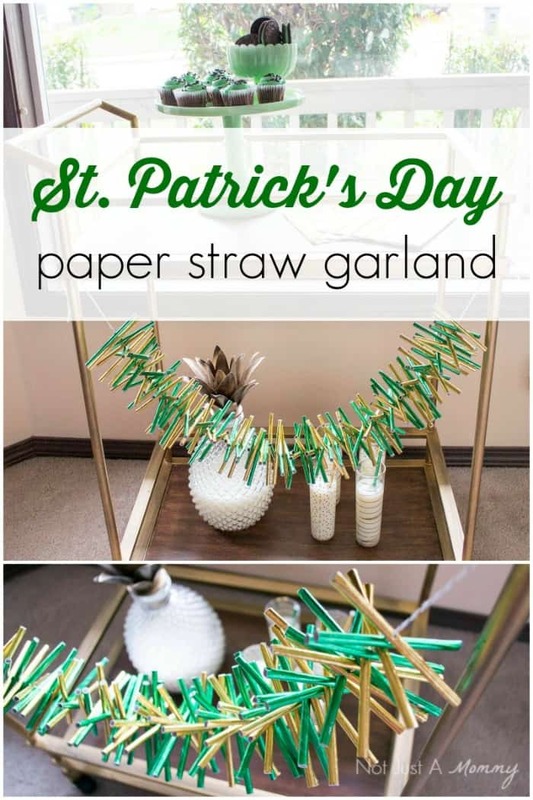 This St. Patrick’s Day Straw Garland Tutorial is courtesy of our contributor Dawn of Not Just A Mommy…St. 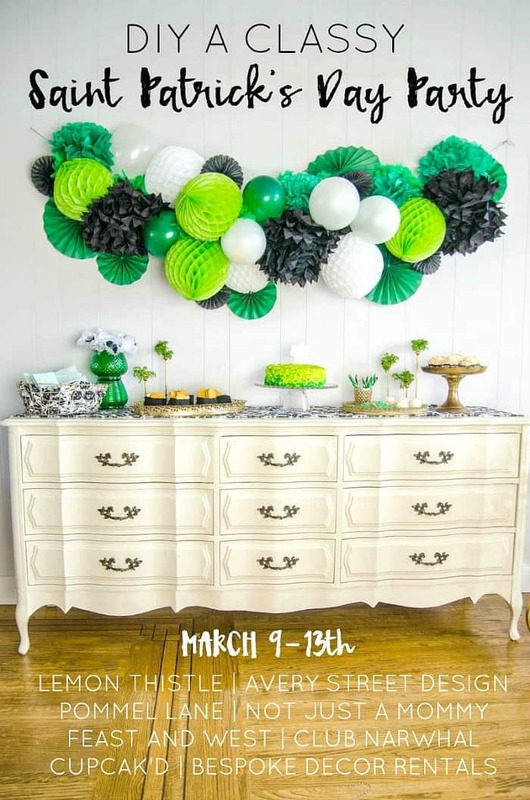 Patrick’s Day is coming up fast and I’ve got the perfect project that you can use to decorate for your party or just to bring a little fun for the holiday around your home. 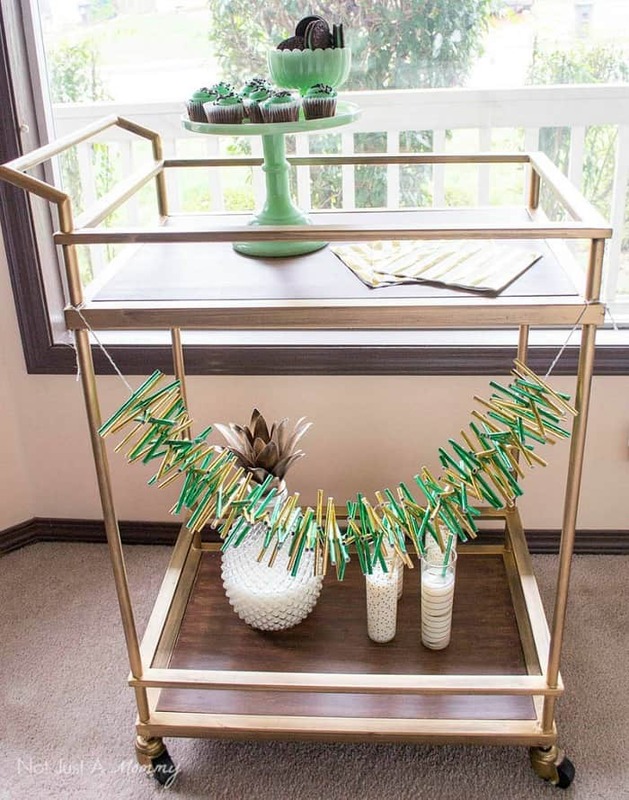 This paper straw garland is so easy to make, you’ll be whipping one up in no time! A few years ago, I was inspired by Sassy Style Redesign’s version and made a smaller one as a cake topper. 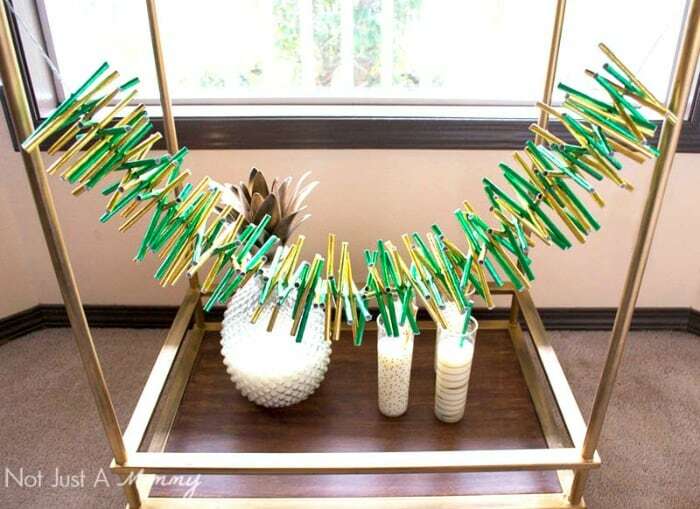 I thought it would be perfect with green and gold foil straws. 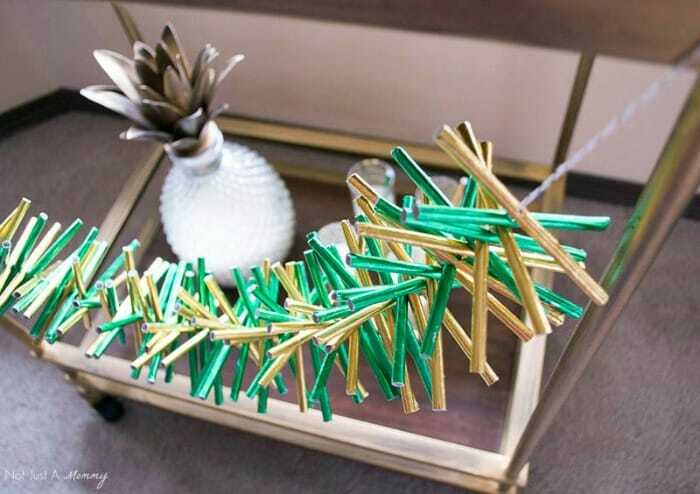 Depending on how long you want your garland to be, you will need between 50 and 100 straws. I used 30 straws in each color (120 half-straws total) and my garland is about 2 ½ feet long. With a sharp pair of scissors, cut your straws in half. They don’t have to be perfectly even, just eyeball it. Thread your baker’s twine through the needle and cut the twine long enough to be able to hang when it’s done. 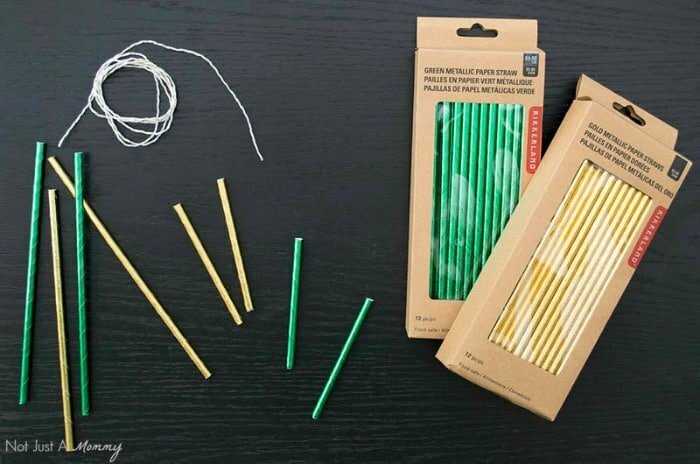 Carefully push the needle through the center of a straw half and pull through to thread onto the twine. Continue, alternating colors, until all your straws are sewn together. Hang and you are ready for St. Patrick’s Day! Need more St. Patrick’s Day party ideas? We’ve got lots of crafts, recipes and more in our blog hop from last year and check out my 13 must-haves for your St. Patrick’s Day party. We’d like to send a big THANK YOU to Dawn of Not Just A Mommy for sharing this fun & easy tutorial with us. Over on Dawn’s blog you’ll find plenty of party ideas for all of life’s celebrations. I hope you’re ready to plan a party because she’s sure to leave you inspired! Be sure to follow her on Facebook, Pinterest and Twitter for even more creative ideas.